The Hague is the seat of government in the Netherlands as well as one of the country’s most popular destinations, along with Amsterdam. Expats relocating to The Hague find a healthy international community; over 50,000 foreigners currently live in this city of almost 500,000. Where Amsterdam draws a younger, more artistic crowd with its edginess and busy lifestyle, The Hague offers a more sophisticated, conservative, and sedate take on living. Here you’ll find picturesque buildings from the medieval, renaissance, and baroque periods, along with beautiful beaches and great expanses of greenways. Opportunities for entertainment also abound in the form of shopping, restaurants, museums, and theatres. As for the weather, it’s best described as a mixed bag. One day is overcast or rainy; the next, sunny and bright. However, even on the sunniest days, temperatures rarely exceed 25 °C (77 °F). Summertime in The Hague is generally very pleasant and sometimes damp; winters are typically mild with the average low temperature remaining above freezing. Most expats find The Hague’s locals warm and amiable, and while the kind of ostentatious behavior that is at home in Amsterdam is frowned upon in The Hague, the diversity of the expat communities is accepted and respected. Indeed, newcomers moving to the Hague almost invariably find a satisfying and high quality cosmopolitan lifestyle. There are plenty of job opportunities to be found in The Hague. This holds true even for expats moving to the area because of the large number of international organizations and companies located in the city. Non-Dutch speakers are in demand for a number of positions in these companies. Expats can also use the government-established Xpat Desk, a local program created to assist expats who are living and working in The Hague. This is a great way to create a network of contacts and get to know others in the community as well. There isn’t much in the way of heavy industry in The Hague, as government and corporate administration are the main types of jobs here. Parliament meets in the Knights’ Hall, and foreign embassies and other government departments occupy the various other buildings in the city’s old quarter. Most local businesses are engaged in banking, insurance, trade, or other services, and headquarters for several large oil companies are also located here. The industries that do exist here include publishing, food processing, electronics, and the production of furniture, ceramics, and glass. Grocery and restaurant costs in The Hague are comparable to other places in The Netherlands. A meal out in a restaurant will run two people anywhere from 30€ to 60€. Two beers will add about 8€ to your bill. In a local grocery store, you’ll pay roughly 1.24€ for a loaf of bread, 2.28€ for a dozen eggs, and .86€ for a liter of milk. As for transportation, The Hague has excellent public transportation options. There are more than 30 bus and tram lines to safely and quickly transport you to your destination. You can pay for a single ticket in cash or do what most of the locals who use public transport regularly do and get an OV-chipcard. You can also buy day tickets if you only need public transport for a day or two. Compared to Amsterdam, residents will find the cost of living somewhat lower in The Hague, especially when it comes to rent prices. In The Hague’s city center, one-bedroom apartments go for around 829€, while three-bedroom apartments run about 1550€. Get outside the city centre and save a significant amount on rent; further out, you’ll pay closer to 683€ for a one-bedroom and 1059€ for a three-bedroom apartment. The Hague has a variety of housing options and types of neighborhoods. You can easily find an apartment in a bustling urban area, a house in a leafy-green residential neighborhood, or even a more private residence with more acreage to yourself. You can rent or buy a house or apartment in whatever type of neighborhood you desire. It is true, though, that most residents live in apartments or row houses rather than detached single-family homes. This is because space is relatively limited. Most homes in The Hague do not have attached garages, but many of the newer apartment buildings offer underground parking. You’ll likely be able to find a small private balcony or garden, however, with most any type of home you choose. Whatever amenities are important to you, such as public transportation, local schools, or on-street parking, there are plenty of homes in The Hague to meet a variety of needs and preferences. Family-Friendly: Families who want more living space and a less urban environment often choose the Haagse Hout district. While this area offers a quieter setting, it is still convenient to downtown amenities. Popular family-friendly neighborhoods in this area include Benoordenhout and Mariahoeve. Upmarket: The Archipel and Statenkwartier areas are central and very desirable locales. This urban atmosphere boasts luxury villas, embassies, and mansions nestled among cafes, restaurants, and shops. Hip & Trendy: The Duinoord neighborhood is charming and full of character, as are the homes in which its residents live. Here you’ll find late 19th century architecture and a bohemian atmosphere. Up & Coming: Check out Archipelbuurt, Rijswijk, Voorburg, or Wassenaar for a growing, expat-friendly community. The cost of having your belongings shipped to your new location is a key part of your moving expenses. The cost of moving your belongings to The Hague depends on where you are moving from and how much you are bringing with you. On average, for a 20-foot shipping container, you can expect to pay about £4600 to move from Sydney, £2100 from New York, and £3500 from Berlin. Education is one thing expats with children need not worry about in The Hague, as there are several quality international schools and universities. All schools in The Netherlands are publicly funded, which means that even private schools must meet minimum standards. Children attend eight years of school beginning at age five, and then receive recommendations from their teachers regarding further academic options—but school is obligatory until age 16 and is free up to that point. International school options include the American School of The Hague, The British School of The Netherlands, the European School of The Hague, the Indonesian Embassy School, and many more. The Hague is also home to several colleges and universities. These include The Hague University of Applied Sciences, the Royal Academy of Art, and the International Institute of Social Studies, to name a few. Everything is relative, and how The Hague stacks up against other cities is no exception. The Hague is a premier destination for both expats and locals, and as such, space is limited and the cost of living is on the higher side. However, compared to other major European cities, such as London, the cost of living in The Hague is quite reasonable. Residents typically pay significantly less for rent here than they pay in Amsterdam, but still more than in a number of other cities in The Netherlands. The Hague is known for its museums and beachside resorts, and in general the locals are very friendly and welcoming toward expats. Compared to other cities, The Hague offers a wide variety of lifestyle choices, so whether you want to get caught up in the hustle and bustle of city life or are more laid-back and family-oriented, The Hague has the perfect accommodations. As many major metropolitan areas do, The Hague has several park-and-ride facilities where you can park your vehicle and take the tram into the city center or to another location such as Scheveningen Beach. Since the city is fairly compact, once you get near the city center you’ll find it very pedestrian-friendly. Be sure to visit the Binnenhof, located a mere 10 minutes from the Central Station in the heart of the city. This has been the location of the Dutch parliament for centuries. Then walk right next door to the Mauritshuis, once the residence of John Maurice of Nassau and now a famous museum. After this, you can continue your walk to the Lange Voorhout, a famous street brimming with international artists, monuments, and museums. To cap off your day in style, stop for ice cream at Madurodam, the local favorite ice cream shop. Or relax and dine in luxury at HanTing Restaurant, Restaurant Mazie, Irawaddy, or Keraton Damai. 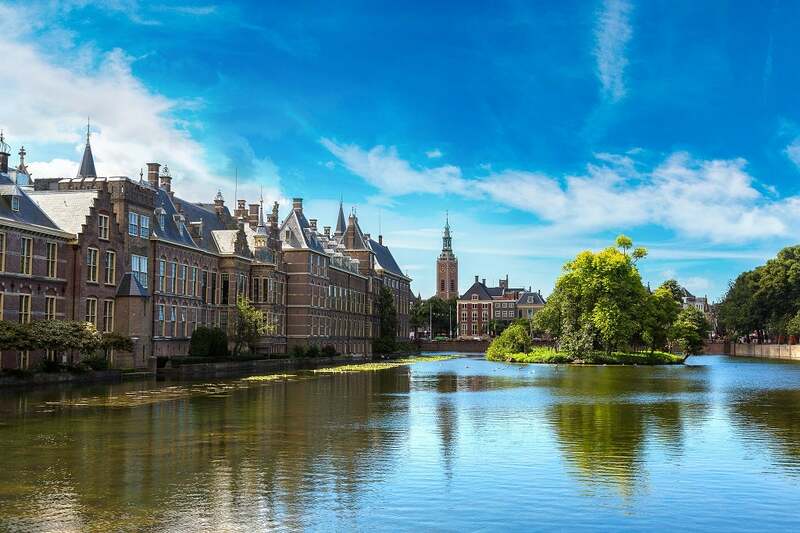 The Hague has lots of ethnic and local foods to enjoy, as well as entertainment, jobs, and housing for a wide variety of interests, needs, and preferences. This is all part of the whole package that makes The Hague a desirable and popular place of living.